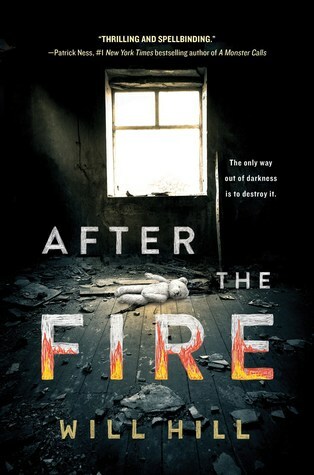 After the Fire is the story of life after a cult, told to us by Moonbeam. It goes back and forth between the time before the fire (the storming of the compound), and the time after. Once again, I went into a book without reading the blurb and expected a thriller based on the cover and title. I’m kind of glad I didn’t read the description well in this case because I might have skipped over this novel, and it is definitely worth reading. Based on a real cult case, this book gives you a chance to understand (to a degree) the people who believed in their leader enough that they were willing to subject themselves and their children to his rules. As if being raised in a cult environment weren’t bad enough for the youngest cult members, trying to assimilate into a “normal” life on the outside proves just as difficult. This is an intense, thought-provoking glimpse into a life I can’t even imagine being forced to live. NOTE: I was provided with an advanced copy of this book for free from NetGalley. All opinions expressed are my own. Oh Erika, this sounds really good. Very honest and thoughtful review. Very different for me, but it was good! Yes, I am used to you reading a lot of cozies. It is nice to try something a bit different or out of our comfort zone once in awhile. Very thought provoking review. I have read some of this type before and it will really open your eyes. Most if the characters were easier to empathize with than you would have expected.